Learn how to bake gingerbread house parts so that they come out flat and straight every time! 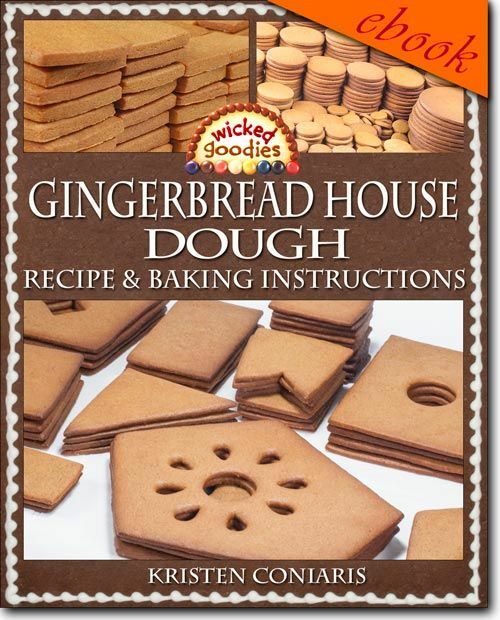 This 40-page PDF ebook contains Wicked Goodies’ gingerbread house dough recipe with detailed instructions on how to cut and bake gingerbread house pieces. There are 50 color photos within including award-winning gingerbread houses made by the author. This guide also includes one free printable gingerbread house template.